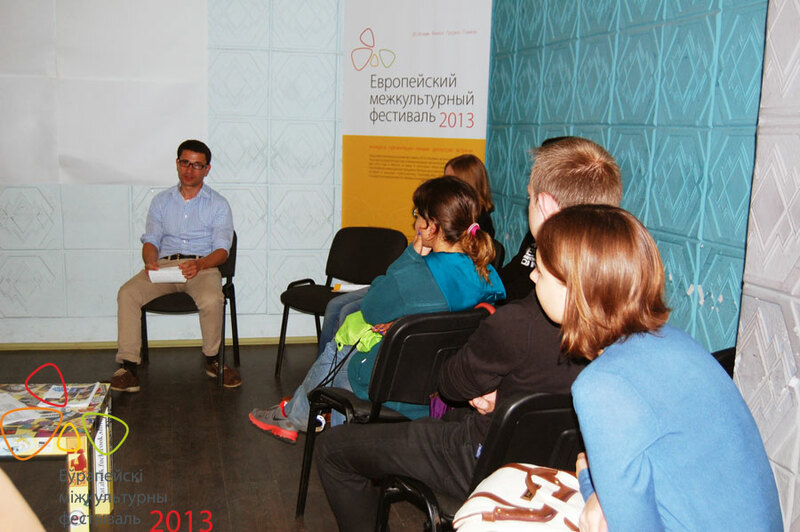 On May 25th, the Youth Education Centre “Fialta” hosted the meeting “Kultcafe” in the framework of the project “New Faces” on facilitating intercultural dialogue. The event was organised as a part of the “European Intercultural Festival 2013” which among its other goal aims at presenting the cultures of the European Union and Eastern Partnership countries. The guest of the meeting was Stanimir Minov from Bulgaria who works in the field of telecommunications and corporate strategy development. Stanimir shared his experiences of his four year stay in Minsk and at the same time dispelled the myth of Bulgaria being the poorest member state in the EU with large demographic problems. He also told what are in his opinion the main characteristics of the Belarusian people. The meeting was held in the form of a friendly conversation. 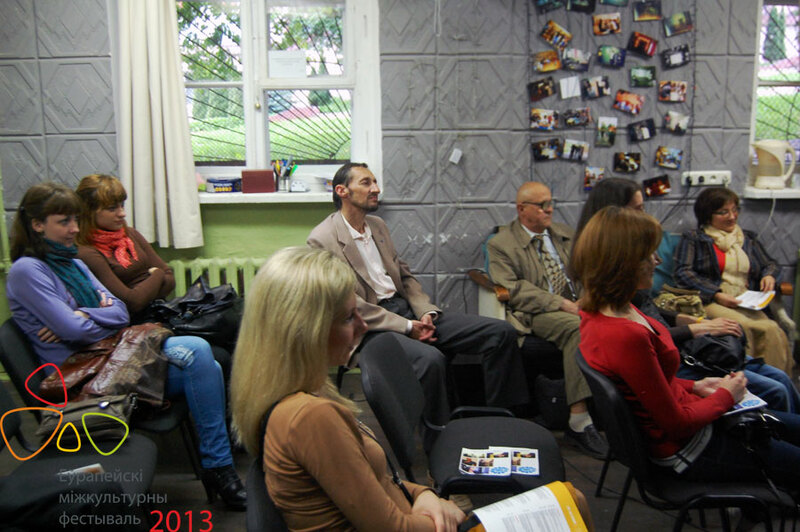 The participants were interested to know more about Bulgaria, its culture, cuisine, the characteristics of Bulgarians, as well as Stanimir’s observations about Belarus. “What is typical for Belarus? It is obvious!” said Stanimir to a lightly surprised audience. “Even in a park with few visitors there is a queue to the ice cream stall. This demonstrates there is more demand than supply in Belarus. There more demand or precisely interest in activities with a more cultural emphasis, assured the Belarusian participants of the meeting. ”Moreover, cultural film screenings are always full of people and Belarusian attend all possible cultural events with a passion. The fact, that a small week-long intercultural festival is attended by so many people of all ages, goes to show that there is always a demand. The supply just needs to bigger”, remarked one of the participants of the meeting in “the café”. ”The lively conversation in the form of a cultural cafe in understandable everyday language helps people to overcome barriers of prejudice”, notes the coordinator of the festival Yulia Stankevich. “And the added bonus of these events is that you do not need to go far to better understand a person from another culture and at the same time to see something new through the eyes of this person”, Ms. Stankevich continued. 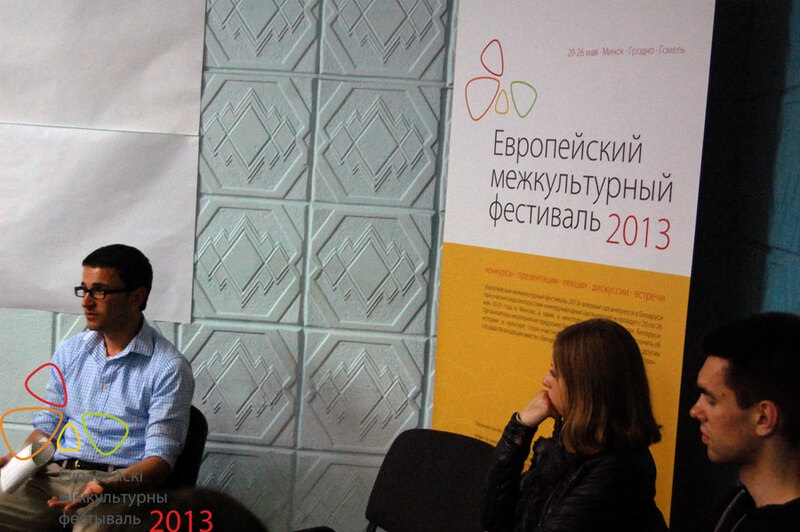 The meeting at the cultural cafe was one of the last events of the European Intercultural Festival 2013. ON May 26th, a closing ceremony was held in the National Art Museum where all the winners of the competitions of the festival received their prizes.